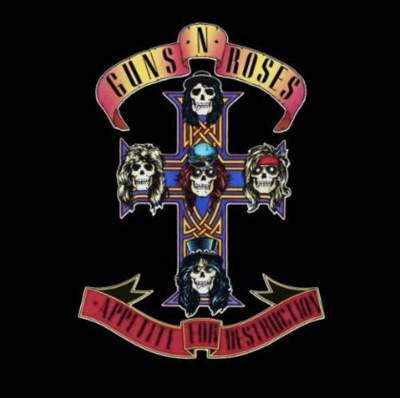 This week, Guns N’ Roses‘s Appetite For Destruction is on sale in MP3 format for only $2.99. The CD is currently $8.36. This is the band’s debut album, released in 1987, and it happens to be one of the greatest hard rock records of all time! You absolutely know the songs “Welcome To The Jungle” and “Sweet Child O’ Mine” and possibly even “Paradise City,” so there you go, justification that the three bucks is worth spending on this album – though, my word as a rock goddess should be enough. My favorites on this one (and watch out, I feel like naming all 12 songs): “Rocket Queen,” “It’s So Easy,” “You’re Crazy,” “Out Ta Get Me,” “Anything Goes” – all amazing. Seriously, own this. Note – when you purchase MP3s through Amazon, it stores your purchases to Amazon’s Cloud Drive; from there you can stream the music right from their online player. Also, if you have a Kindle Fire, your MP3 purchases will automatically be available for you to stream on your device. All your purchases are backed up and available for you to download at any time. You can download the files to your computer to load to an MP3 device and to your iTunes account if you have one. If you’d like to gift these MP3 purchases, you can – just click the “Give album or song as gift” button on the right on the product page. From there you enter the recipient’s email address and then select either specific songs to gift or the entire album.